Hearts to the Rescue: MY NAME IS JEREMIAH, I'VE BEEN RESCUED! MY NAME IS JEREMIAH, I'VE BEEN RESCUED! SAFE, RESCUED. WHO AM I? My name is JEREMIAH. 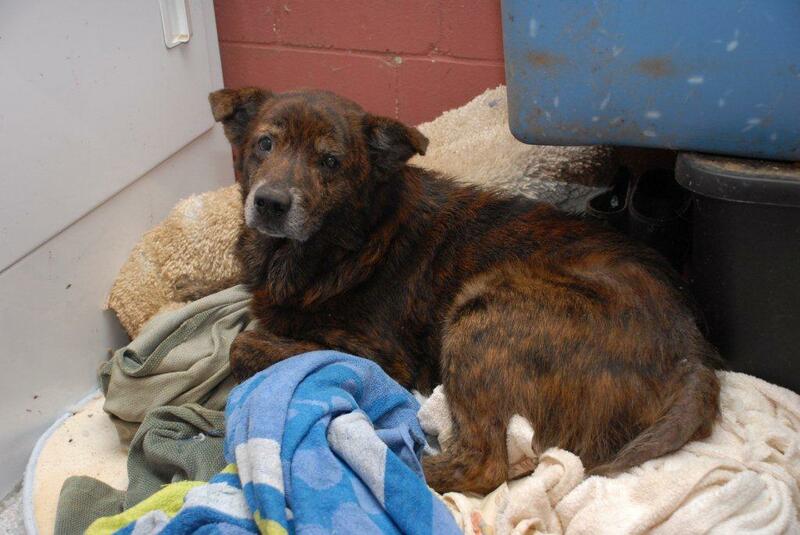 They found me by my owner's side heartbroken .... he died and I didn't want to leave him. I haven't known any other life, so I'm pretty scared right now. I don't know anyone here and I'm kind of lost and confused. It makes me jumpy and kind of nervous around people. They said I'm losing hair because I'm frightened. I don't want to stay here, but I don't want to die either. Please help me. I need a special place, someone that can take care of me for awhile until I'm better. And then I'll take care of you and I promise to stay by your side as long as you need me. If I could just get a little TLC, I know I'll get stronger and get over losing my long time friend. I really don't need alot, just give me a warm place to lay away from noise and I'm happy. JEREMIAH -- Dog; Male; mixed breed; possibly 8-10/yo or older; Special conditions: bad teeth, eyes, some hairloss; no funds yet for a vet visit; probably best in a home without children; $300 sponsorship offered for Jeremiah and his vetting. Lorraine Sakli is offering a $300 sponsorship for Jeremiah + vetting in hopes that Jeremiah's angel and his miracle are out there. She wants to be part of his rescue as best she can. LOOPY HAS A NEW HOME!!!! ADOPTED! GOOD NEWS, DUKE HAS BEEN PLACED! SAFE IN A FOSTER HOME! MY NAME IS YARA - I'VE BEEN RESCUED!!! I'VE BEEN RESCUED -- THANK YOU SO MUCH! MY NAME IS SILAS, I'VE BEEN RESCUED!! !